Have you ever wondered what happens to a fighter when he spontaneously breaks out in dance in the middle of an MMA fight? 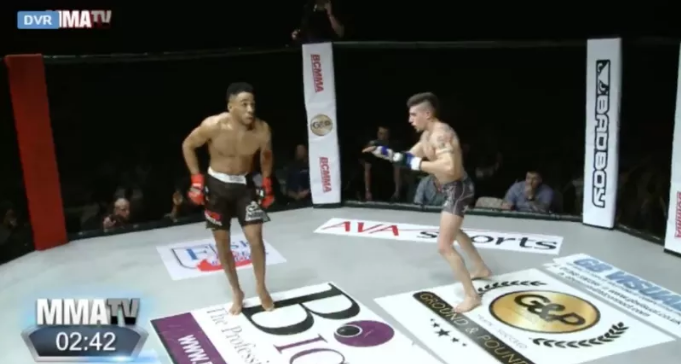 In Saturday’s British Challenge Mixed Martial Arts (BCMMA) 18 event, Joe Harding attempted to taunt Johan Segas in this manner, and it ended just as you would expect. After his short dance routine he quickly realised he was in the wrong environment as he got KO’ed with a kick to the head. Next time best not mix up martial arts with dancing arts.